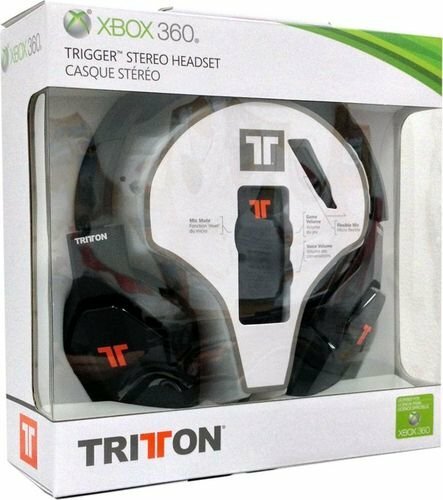 TRITTON's officially licensed Trigger Stereo Headset delivers a comfortable, high-quality audio experience for Xbox 360 gaming. Providing the ability to adjust your chat volume and voice volume separately and on-the-fly, the Trigger is the ideal plug-and-play USB headset for all your Xbox 360 gaming needs. Whether your console is legacy or current-gen and connected to a display via HDMI or component/VGA/composite, the Trigger is ready to go right out of the box. All required cables and adapters are included to ensure you can connect to any Xbox 360 within minutes. Deep bass and crystal-clear highs: Whether your console is legacy or current-gen and connected to a display via HDMI or component/VGA/composite, the Trigger is ready to go right out of the box. All required cables and adapters are included to ensure you can connect to any Xbox 360 within minutes. Separate game and voice volume controls: If the chatter from your opponent gets distracting and starts to hinder your online gameplay experience, just turn a dial on the in-line audio controller (A) to tune them out.Game volume (B) can also be adjusted on-the-fly so you can drown out your foe's voice but still hear stealthy in-game footsteps creeping up behind you. Use the integrated headset port (C) to effortlessly connect the Trigger to your controller, and mute/unmute the microphone with the flick of a switch (D). Ergonomically designed for extreme comfort: When blasting zombies for hours on end, headset comfort is a must. The Trigger delivers with a padded, adjustable headrail which extends an extra 1.25 inches on either side to accommodate a wide range of head sizes and soft, pliable earcups which swivel to provide a comfortable around-the-neck resting position. Flexible performance mic: Fixed microphones may not always properly align with your mouth, resulting in decreased sound quality when communicating over Xbox LIVE. 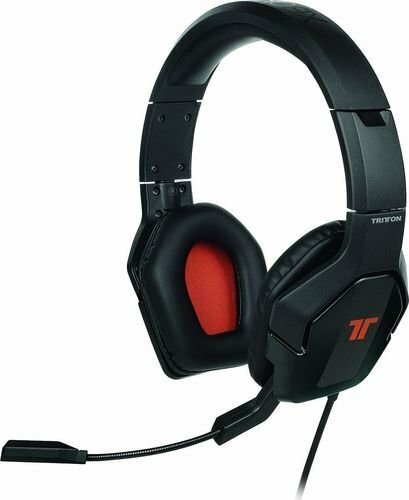 Problem solved with the Trigger's flexible solution - - it provides the freedom to bend the mic into a position that's optimal for picking up your voice. The unique design allows the mic to fold up and out of the way when not in use.